Dhaka, 14 Feb, Abnews: A man who suffered constant pain after surgery cured it by taking a plunge in cold open water. The man's case has been reviewed by doctors who suggest a short, sharp cold water swim may offer an alternative to strong painkillers and physiotherapy.The 28-year-old man who suffered from post-operative pain found it disappeared totally after doing an open water swim. However cold water swimming does not suit everyone and entails risks. The man had been a keen triathlete prior to his operation and had found conventional treatments had made little difference to his severe pain. His story is detailed in the journal BMJ Case Reports. Report author Dr Tom Mole, from the University of Cambridge, said he hopes that it "gives new hope to people recovering from pain after surgery". The man, who suffered from excessive facial flushing, underwent an operation (endoscopic thoracic sympathectomy) that cut the triggering nerves inside his chest. The surgery went well but afterwards he suffered from severe, persistent pain which caused him a "great deal of distress". He found conventional treatments had made little difference to his severe pain. He said exercise and movement in his physiotherapy sessions made the pain worse, which prevented him from completing his rehabilitation. 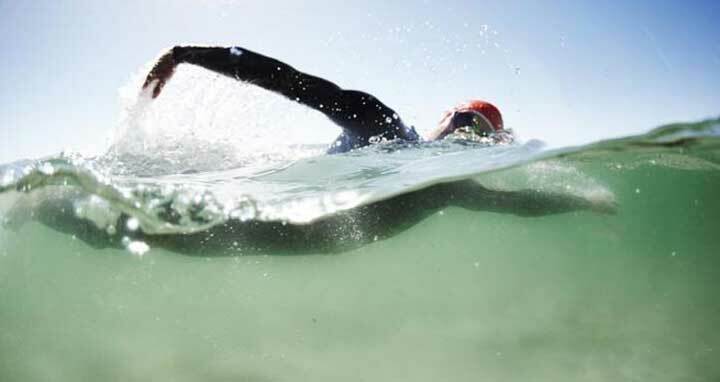 A keen triathlete before his operation, he decided to do an open water swim to take his mind off the pain. The man, who has not been named, said it was a "long shot" as to whether it would help his pain but he was "desperate to get some relief". The swim entailed plunging into the water from a rocky outcrop and swimming for around a minute before he could reach somewhere to safely climb back ashore. "I initially thought 'damn this is so cold I'm going to die!' and I just swam for my life," he told the report's authors. "Once I was in the water, I had tunnel vision - for the first time in months, I completely forgot about the pain or the fear of shooting pains in my chest if I moved. "My entire body tingled with the cold. I just knew if I didn't keep swimming, I'd soon freeze. After a few moments I actually enjoyed it - it was just an immersive rush of adrenaline.